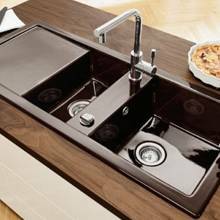 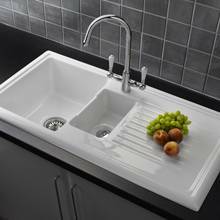 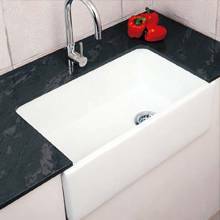 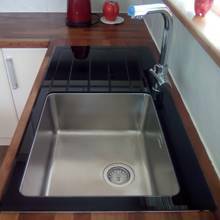 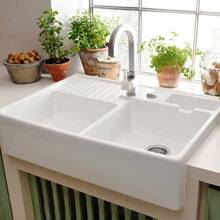 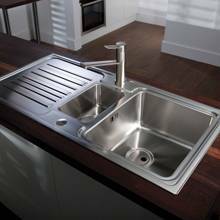 Welcome to our extensive range of quality kitchen sinks from sinks-taps.com. 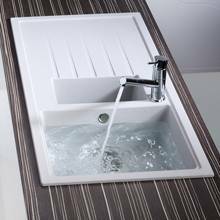 Once you have chosen a category, you can use the many filters on the left hand side to fine tune your selection. 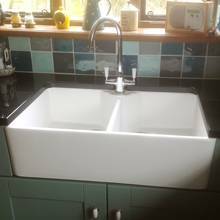 Alternatively, if you know the model number of the product you require, simply enter this into the search box in the top right. 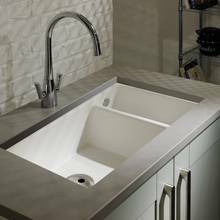 Amongst our most popular manufacturers available are Abode, Bluci, Reginox, Franke, Blanco, Villeroy & Boch, Shaws of Darwen, Caple and Rangemaster. 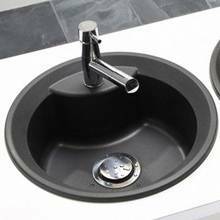 After almost 15 years of being a sink and tap specialist, we are well placed to offer you our expert guidance on what might be the ideal product for you. 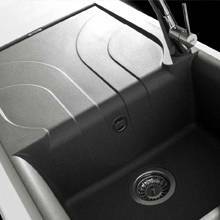 With many of the models on offer there is a multitude of technical aspects you must consider . 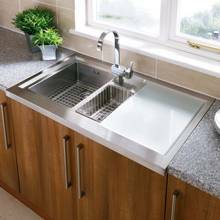 For example: what is an undermount sink and how does it fix to the worktop? 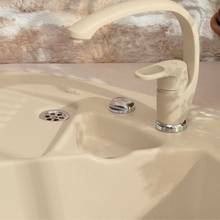 When a model is listed as reversible, what exactly does that mean? 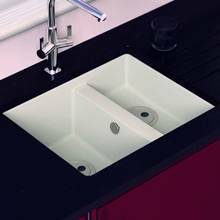 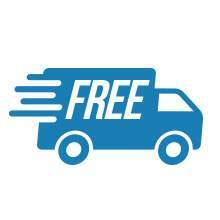 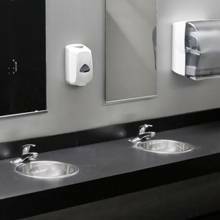 Some sinks are shown as having a pre-drilled or semi-drilled tap hole - many ceramic models in particular have this description and you will see that our site exclusively shows the option of having the tap hole knocked or drilled out before delivery. 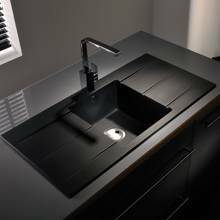 Carefully consider both design and functionality. 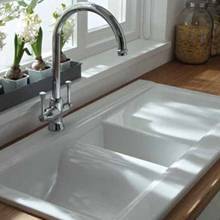 A sink should obviously look good; after all, it should be a real focal point in any kitchen and it can either make or break the design. 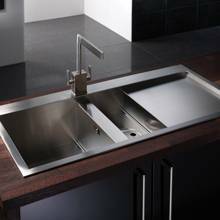 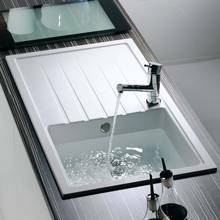 After the aesthetic aspect, you must consider how the sink will cope with the specific demands of a busy kitchen. 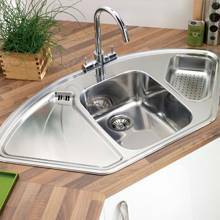 If you have a dishwasher and only use the sink for the large pots, pans and baking trays, then make sure the bowl is big enough! 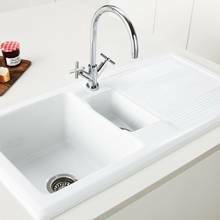 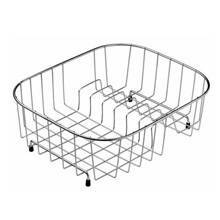 If you do a lot of washing up and entertaining then maybe a 1.5 bowl sink would be the best option. 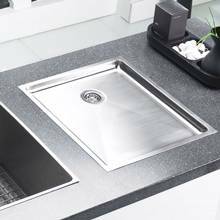 A model with two bowls and a range of integrated accessories, such as a colander or a chopping board that slides would be ideal. 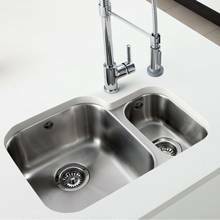 Either way, we are here to discuss the possibilities available to you and one of our sales or technical team members would love to help find the best model sink for you.